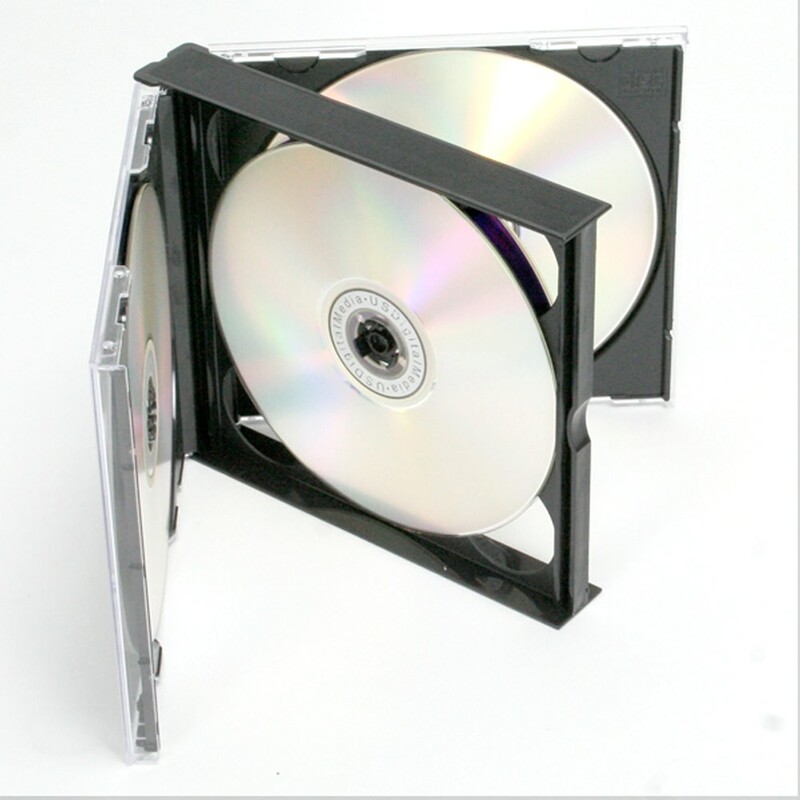 Store up to four full size CDs, DVDs, or BDs in this Quad-Disc Jewel Case with black tray. Great space saver! 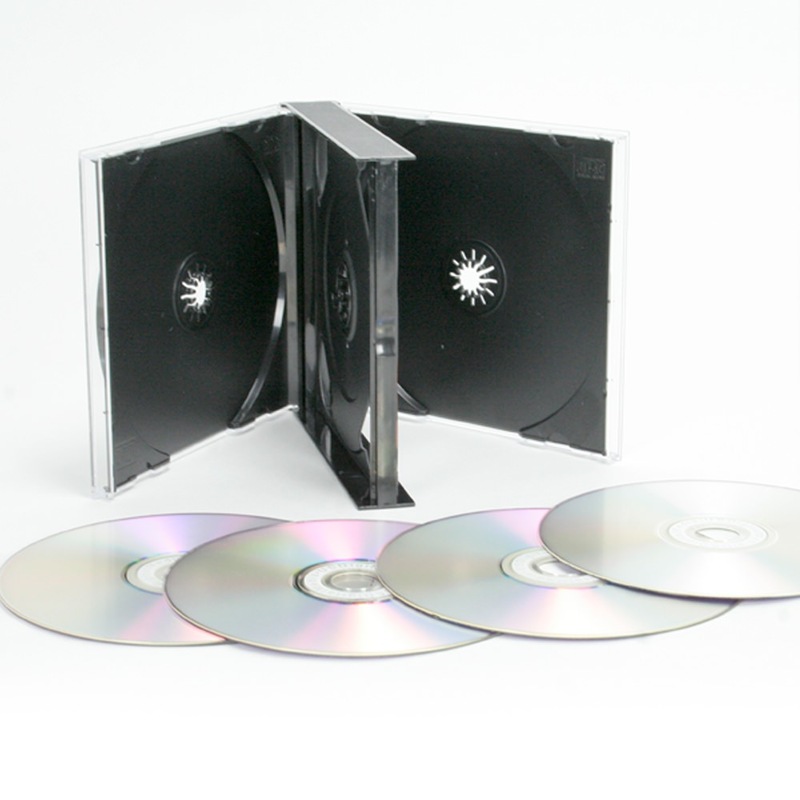 This Quad-disc Jewel Case from USDM features an extra wide spine that is the same width as two standard jewel cases side by side. 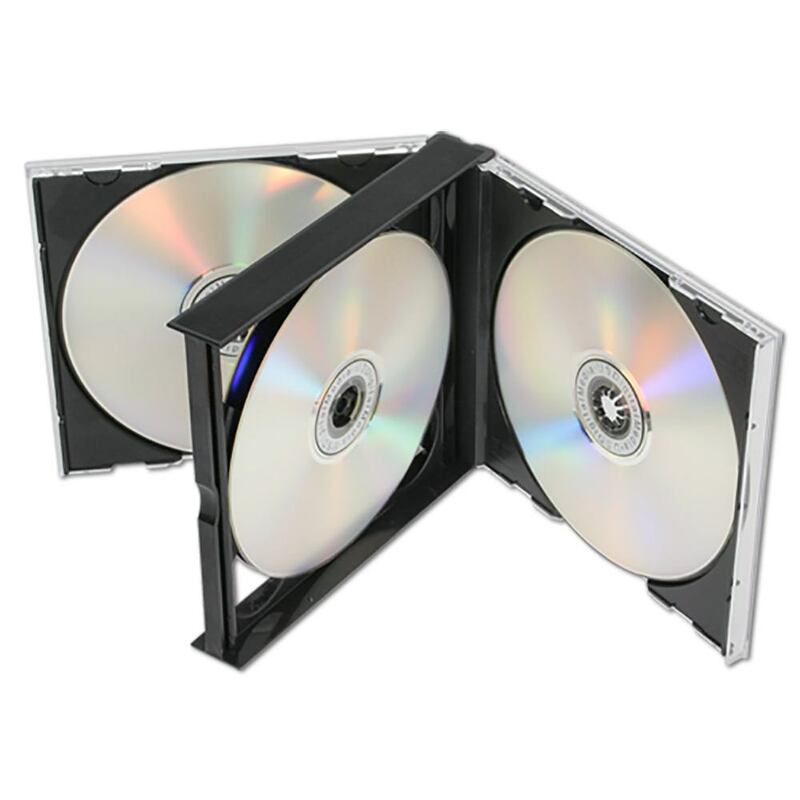 Includes black tray with center hub to secure discs during storage or transit. 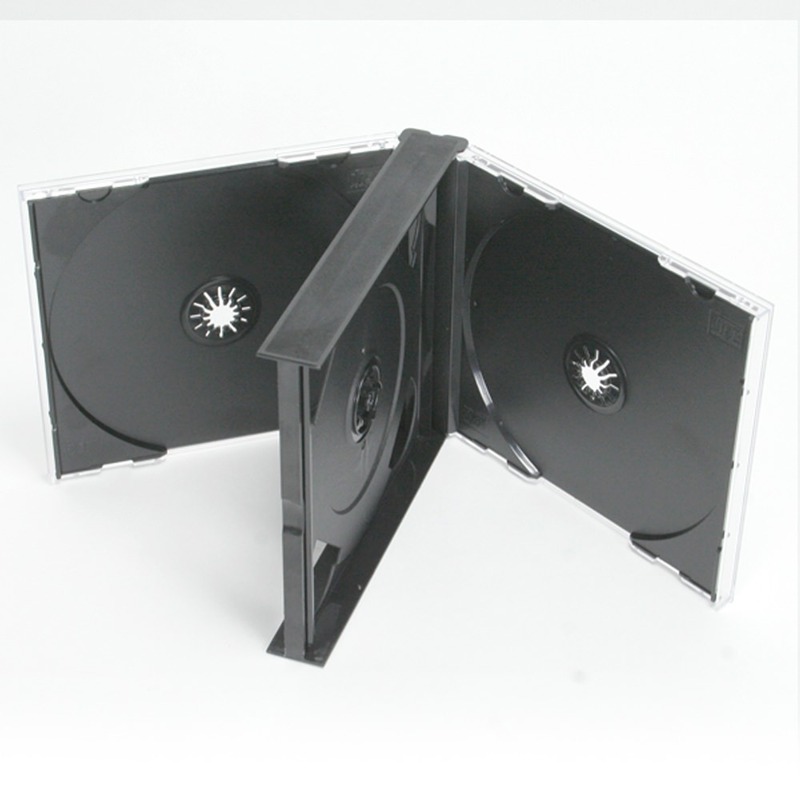 Includes storage space for 4 full size discs.